I love avocado pear not just as a food but also as a hair conditioner, though i always lick half of my hair mix consisting of avocado, honey and yogurt because it is that good. Now i’ve given you one adult avocado recipe to try. Avocado is very perfect to be introduced to your baby as a first food. It is quite easy to prepare and requires no cooking. It has a creamy consistency that is easy for babies to eat and also adds colour to their meal in addition to the nutrition. Avocado can be introduced to babies from 4-6 months as a puree, which can be added or mixed with other fruit purees or vegetable purees and as they grow older; it can be mashed with a fork after 6 months and then eaten as a finger food from 11 months or more. Ensure that you give your child the best and fresh ripe avocado. 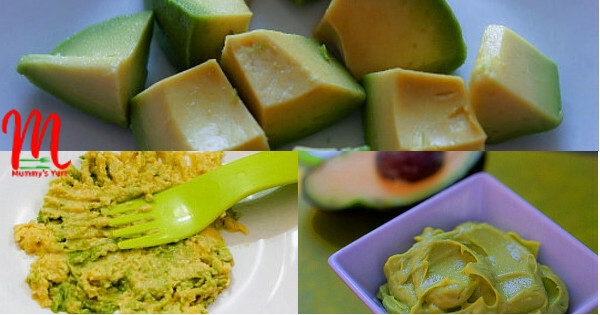 Ripe avocados are firmly soft and when cut open, shows a greenish yellow coloured meaty flesh. 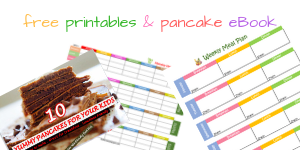 Here are some recipe ideas you can try for your baby or toddler. Peel avocado and scoop out the flesh. Purée in a blender with the milk and serve. Peel both fruits, blend or mash with a fork and serve. 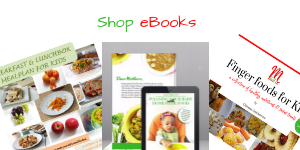 Make porridge or pap to a thick consistency. Mix in the puréed fruits and serve. Cook chicken breast with onions till done leaving a little stock. Add oil in a pot and cook with the vegetables. Purée chicken and vegetables with avocado and serve. Mash avocado and egg together. Add milk to make if you want it a creamier. You can also use the whole egg, so long as your baby has no allergies. Blend all the fruits together with the yogurt and honey. Scoop into small yogurt cups to serve. See recipe and mash rice very well before feeding. Mash avocado and mix into baby pasta (recipe here) after cooking. Mix together the mashed avocado, butter, honey and lemon. Spread on bread and top with the other slice. Cut into small bite sizes to serve as a finger food. Cook sweet potato in a small cup of water with all the ingredients except avocado. Once it is done, stir and mash the potatoes to a lumpy mash, scoop in the avocado and serve. Peel and cut into cubes. Serve as a finger food snack. Enjoyed this?, Then follow @mummysyum on Instagram and like our page on Facebook. Get notifications by adding your email in the box below. My baby just clocks 4months and I want to start introducing supplement feeds can I use this first? Zainab, if you are sure your baby is ready, then plain avocado, banana, carrots are good ones to start with. Mummy chi pls can the avocado & banana b used in custard. And also is it d normal quaker oat that babies take?. Can I mix banana puree in milk?. Thanks. Joy, yes you can add them in custard too. You can use quaker oats but you will have to grind it into powder for baby. Thanks, now I have other options with avocado for my baby. Thanks dear i find it useful and even myself was able to take avocado now with the mixture of banana thanks. I love these avocado recipes. Some of them seem like what one of my kids will love. Yaay, go try it out Di.